:: OnePageAfrica ::: Loners are losers! We may not really be perfect especially in our relationships with people, but we can learn how to be good to people and not fuss over every little thing. It is particularly sad to note that some friends decide to be edgy in relationships when they think that the other person cares more about them than they do the other. A young lady shared an experience that she used to put up such attitude until she learned how unprofitable it was to hold grudges against friends for no just cause when she observed the relationship among three friends in her undergraduate days. 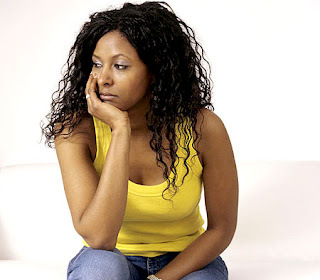 The story is that one among three friends, Tope, kept all to herself more after an argument with Bolu and Vicky. It was like something she had yearned for in a long while. Efforts by the duo to make up with her failed; she was too busy for any discussions now, she claimed. Waiving their initial agreement to take elective courses in Sociology, Tope decided to opt for Political Science. She didn’t want to take the same courses as her ‘ex-friends’ anymore. As the situation persisted, Vicky worried the more. She felt Tope was allowing pride overshadow her sense of reasoning and didn’t think it was a forbidden idea to accost her even when Bolu thought otherwise. “ We have been friends as Jambites and I don’t feel comfortable with separating from her simply because of a missing textbook,” said Vicky. “But since she has continued to hold on to a meaningless grudge, must we continue to offer a rain of sacrifices just to please her?” Bolu demanded. She believed that Tope wanted some time to get over personal troubles and may not be moved until she was satisfied with her act. Without letting Bolu know, Vicky sent Tope a text message about the proposed scholarship programme for second year Social Science students. She gave her a full description of the venue and all that was required for the screening exercise. Vicky was pleased when she got a reply from Tope saying ‘Thanks for the information.’ On the appointed day, Bolu and Vicky arrived early at the venue and immediately signed in for the screening and documentation process. But all the while, Vicky kept looking out for Tope. She wondered what it was that could be keeping her back; ‘she probably didn’t leave her hostel on time or couldn’t get a vehicle’, she thought. At the end of the exercise by 3.20pm, it became clear to Vicky that Tope just may have decided not to come for the programme. Tope didn’t care to reply Vicky’s message asking why she missed out of the programme on purpose. Precisely two months after the scholarship screening, both girls got their money offers of N150, 000 each. Besides the cash awards, the organisation included them on a youth development exchange programme to neighbouring Ghana. Their three-week stay in Ghana was very rewarding as they got into wider students networking groups to help them develop new skills. The beginning of the first semester in their 300level class was very demanding with different group assignments. But for Vicky and Bolu, like a number of other students who got the scholarship, there was some sort of relief since they were able to purchase their personal computers and key text-books. They were able to typeset their assignments and only took the printing aspect to the ever-busy business centres that take so much time from students. Bolu was not so patient with negative attitudes as what Tope was putting up, so she was quick to yank off Tope’s contact from her mobile phone and diary. But just when Vicky was trying to move on without Tope as a friend, Tope stepped in to ask for forgiveness. Someone had told her a lie about both girls and rather than observe things for herself, she took an irrational decision to stay away from them, claiming to have been offended because of a text-book that was not missing after all. They got back to being friends after Tope apologized and asked to be forgiven, but Bolu remained very sceptical!